Handmade children’s clothing – made to make you smile ! 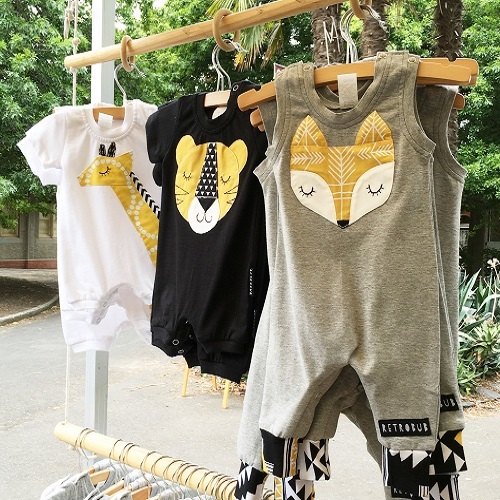 Made in Melbourne Retrobub’s range of boys , girls and gender neutral baby wear features individually sewn applicae motifs such as sleepy fox faces, monster leaves and avocado’s. These applicaes are created by putting together a collage of different fabrics , making each garment special.